Getting Crafty with Jamie: For The Troops..
We will be creating 150 ++ (can we make 500 ++??) 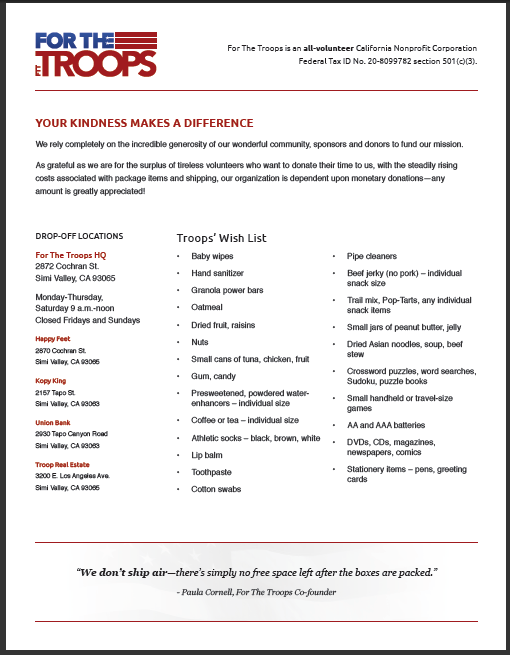 We need People THIS Week - we will be delivering to For the Troops on Friday!! 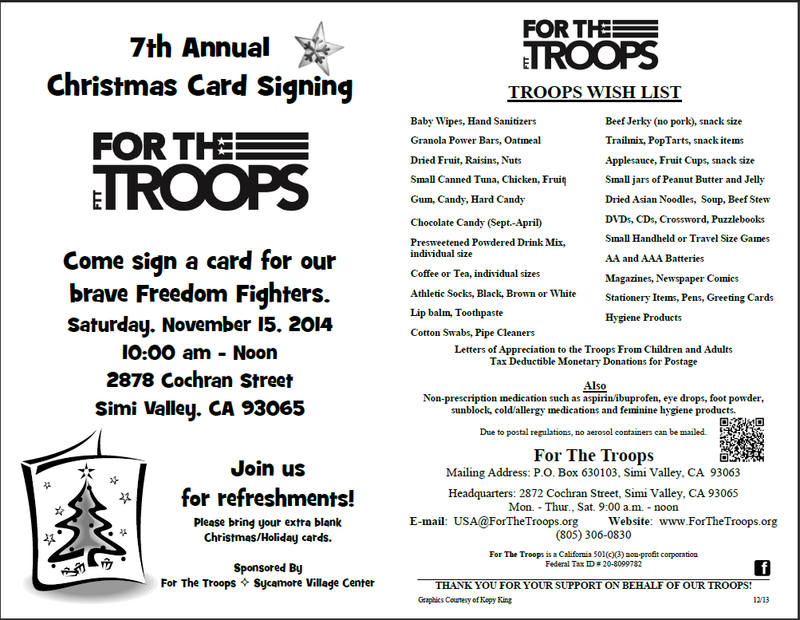 Join us for refreshments and sign a holiday card for our Brave Freedom Fighters. Stop in next to our Headquarters at 2878 Cochran St, Simi Valley, between 10:00am and Noon on November 15, 2014. Wear your red For The Troops shirt and please bring your own blank cards to sign or sign ours. Our brave Service Men and Women really love getting cards and letters from home. 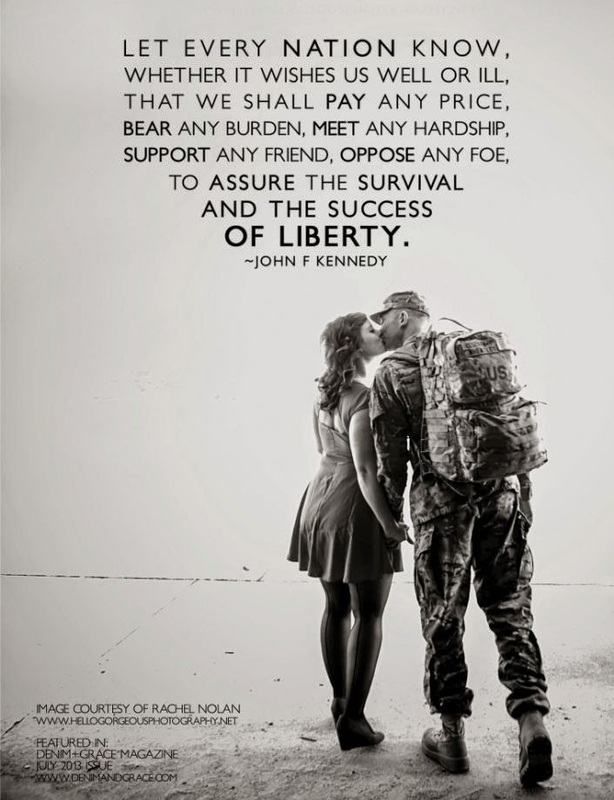 Please help us send over 6,000 Christmas and Holiday cards to our deployed American Freedom Fighters! 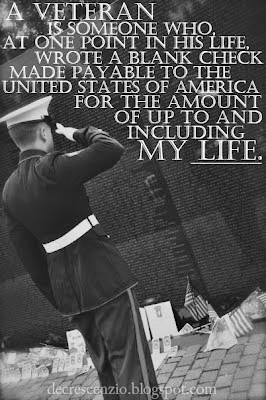 God Bless our Soldiers and Veterans! !